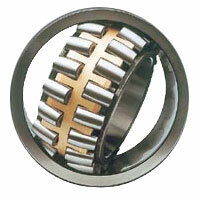 The Bearings are superiorly used for flawless component rotation by reducing the friction between moving parts. Best grade material and sophisticated techniques are being employed in developing these bearings to ensure high load enduring capacity. This product range is capable of bearing heavy loads with proper alignment. Owing to their top performance and smooth functionality, these products are broadly used in varied industries. In order to fulfill diversified specifications required in various bearing products, we are engaged in providing Bearings in the market. These are appreciated by our clients for their superior accuracy, reliability of operation, long-life, high running speeds, low noise & vibration features.